Since its first chapter in 2007, the CULTURE CHANEL project has been realized through a collection of individual exhibitions conceived and curated by Jean-Louis Froment. 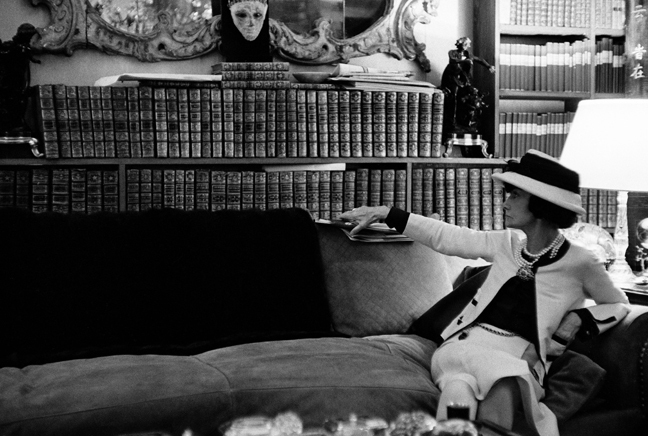 With this series, CULTURE CHANEL approaches the singular life story of Gabrielle Chanel and the House of CHANEL through each exhibition’s original theme. This itinerary, which spans the 20th century and continues to formulate modernity today, draws its content from the roots of the culture of her time. The relationships Mademoiselle Chanel maintained throughout her life with some of the greatest creative minds of her time were crucial. Her friendships, conversations and exchanges went on to provide sustenance for her thoughts and her own creations. Thus, each successive exhibition sheds under a new light what constitutes the foundation of a language that is universal today. It is this formal vocabulary that has forged the style of CHANEL, this singular identity developed and continually enriched by this set of fundamentals. After Moscow in 2007 (Pushkin State Museum of Fine Arts), Shanghai (Museum of Contemporary Art) and Beijing (National Art Museum of China) in 2011, Canton (Opera House) and Paris (Palais de Tokyo) in 2013, Seoul (Dongdaemun Design Plaza) in 2014, the next CULTURE CHANEL exhibition will be held in Venice. 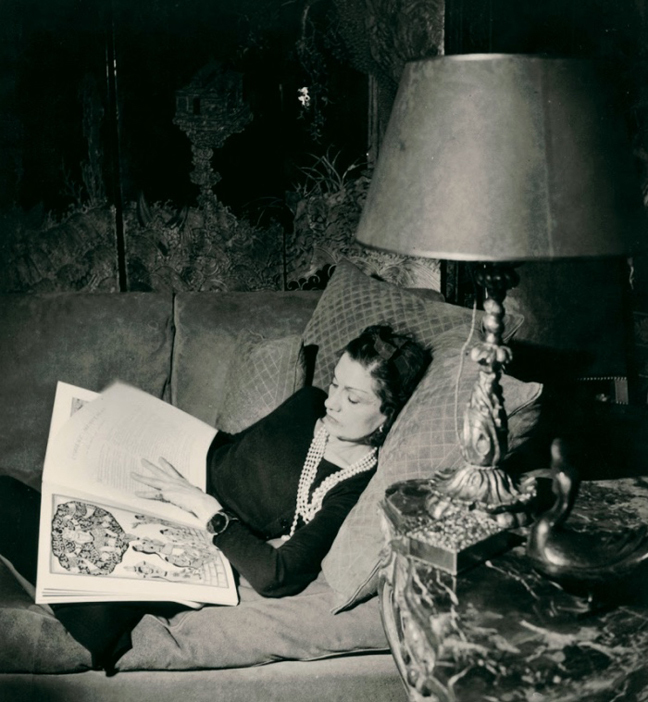 This seventh chapter of CULTURE CHANEL evokes Gabrielle Chanel’s creative world from a totally new perspective: that of her relationship to books and reading. 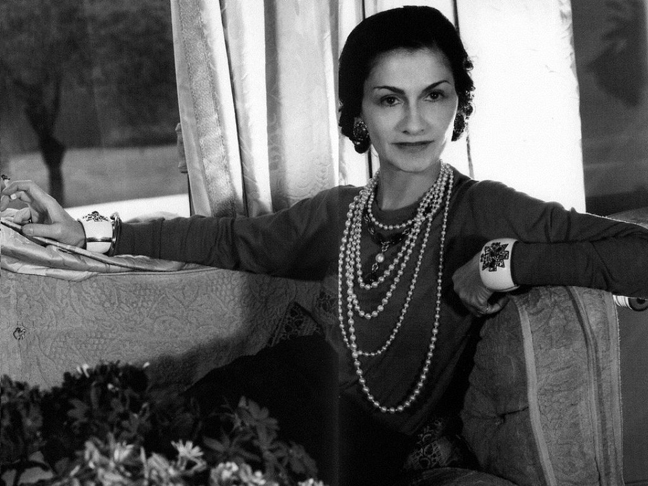 From Greek authors to modern poets, Gabrielle Chanel’s abundant library reveals the works that left an impression on her life and shaped her personality. In her apartment at 31 rue Cambon, the book shelves square up to the Coromandel lacquer panels, the comforting presence of the writings would accompany her and inspire the construction of her own pieces. From the solitude of her years in the orphanage of Aubazine until the end of her life, books and their authors guided Gabrielle Chanel’s path, they nourished her imagination and responded to her mystical quest for the invisible, and showed her how over time, her own view of the world might be set in place. This dialogue through the ages, from antiquity to her contemporaries, is underlined in particular by the works of Homer, Plato, Virgil, Sophocles, Lucretius, Dante, Montaigne, Cervantes, Madame de Sévigné, Stéphane Mallarmé, and resonates with the writers she knew and admired like Pierre Reverdy, Max Jacob and Jean Cocteau. This diversity allowed her to find in her own vocabulary – that of fashion, a modernity that defined its own temporality and projected itself far beyond it. In Venice, one of Gabrielle Chanel’s main sources of inspiration, the public will discover these works for the very first time. Around this central theme, the exhibition plays on analogies and visual correspondences, which highlight from a contemporary standpoint that relationship with books and writing, and in particular to poetry, that is echoed through the conception of her creations. Dedications, archives, photographs, paintings and drawings are nestled in and amongst a wardrobe of fashion creations that reveals, much like a library, the aesthetic vocabulary of Gabrielle Chanel, her taste for classicism and the baroque, and her love for Russia and the golds of Venice. Art objects from her Paris apartment will be exhibited for the first time, along with jewellery pieces and perfumes. All in all, some 350 pieces sketch an intimate portrait of a creator revealed through her reading who knew how to transform her life into a legend.